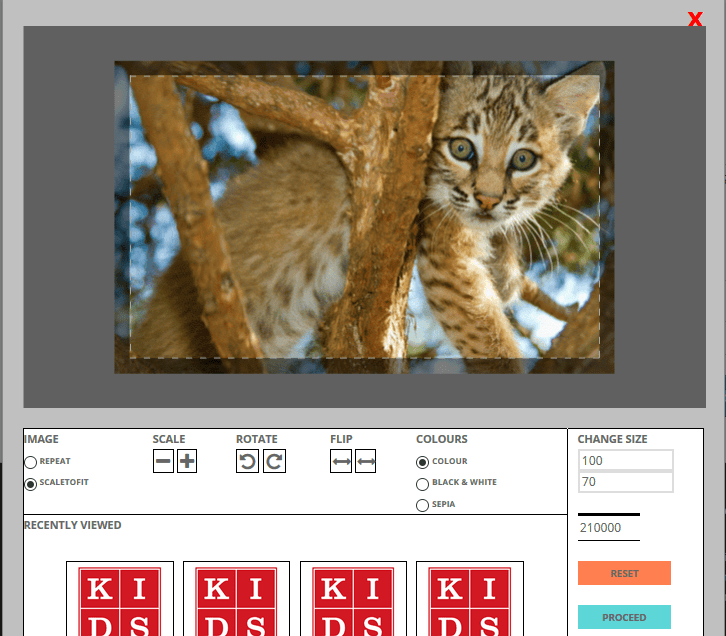 This html5 online editor can scale the image or repeat the image as a grid. The image can be horizontally flipped or vertically flipped using the image editor. The image can be mirrored. The fabricjs editor can be used to crop an image as per the desired sizes. Recently edited and viewed images are displayed at the bottom for easy access and editing. The edited changes are then passed on to the server using http post json and the server side npm nodejs fabricjs takes care of editing the actual image which is of much more higher resolution than that of the client side editable image.